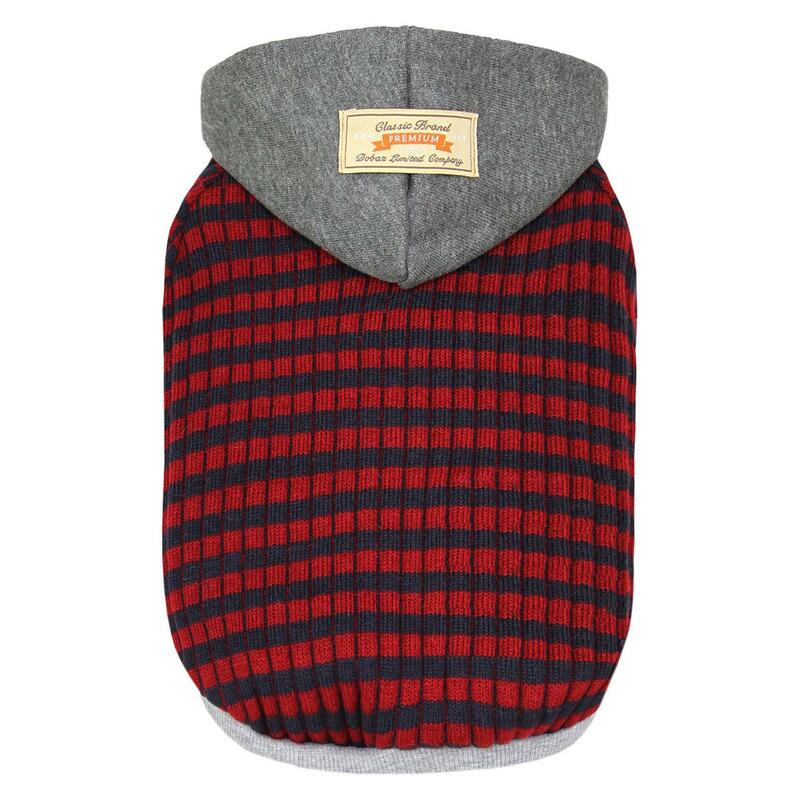 Give your pup cozy style with the Dobaz Striped Knit Dog Hoodie in Gray and Red! 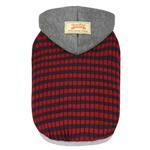 Your pup will feel cozy even when it's cool outside with the Dobaz Striped Knit Dog Hoodie in Gray and Red. This fashionable hoodie for dogs features a ribbed knit fabric in a sporty stripe. Heather gray contrasting trim adds more flair. 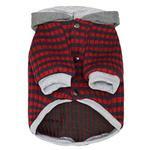 It's easy to dress your pet in this dog jacket with the snap closure at the chest. The ribbed knit sleeves and hem provide your pup with a cozy fit. S: Length 9", Chest 13", Neck 9"
M: Length 11", Chest 15", Neck 11"
L: Length 13", Chest 17", Neck 13"
XL: Length 15", Chest 21", Neck 14"
Posted On 10/25/17 by RIta I from Chalfont , PA Yes, RIta I recommends this product! BaxterBoo has excellent customer service and competitive prices!